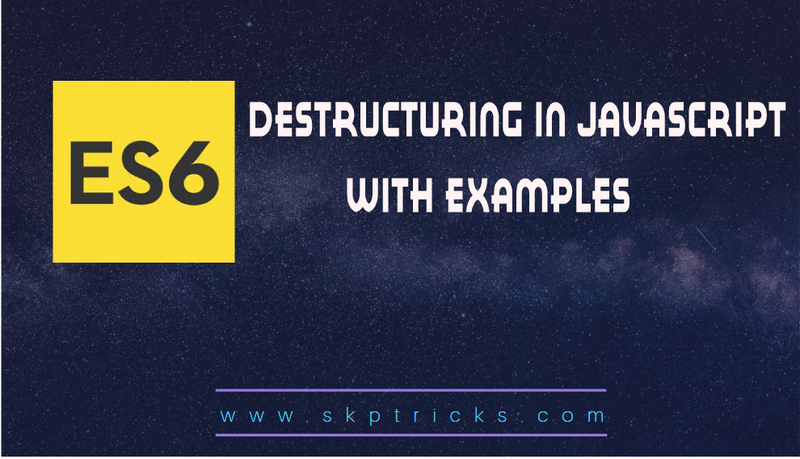 If you want to assign the values of an array to separate variables, you can take advantage of destructuring to achieve your goal in a simple, clean way. Lets see the below simple example for array destructuring. Lets see the simple example for array destructuring. Lets see the below example, where we need first 2 values as variables, and the rest as an array. We can also use the destructuring assignment syntax to assign object values to variables. This is a simple example for Object destructuring.